BREAKING: Jeremy Corbyn gave Theresa May a grilling for the first time in PMQs about Vote Leave failing to co-operate with the Electoral Commission’s investigation into breaking electoral laws. He demanded the senior Conservatives in the Vote Leave campaign comply with the police investigation now that the Electoral Commission has referred Vote Leave’s campaign in the EU referendum to the police. In a rowdy exchange, Corbyn said May’s government had “sunk into a mire of chaos and division” on Brexit. Vote Leave has been fined and referred to police after exceeding its spending limit by almost half a million pounds in the referendum. An investigation by the Electoral Commission found “significant evidence of joint working” between the group and another organisation – BeLeave – leading to it exceeding its spending limit by almost £500,000. Vote Leave also returned an “incomplete and inaccurate spending report”, with almost £234,501 reported incorrectly, and invoices missing for £12,849.99 of spending, the watchdog said. Environment Secretary Michael Gove and Boris Johnson who recently resigned as Foreign Secretary both sat on the campaign committee of Vote Leave. Other prominent Tories who also did include Liam Fox, Iain Duncan Smith, Dominic Raab, Steve Baker, Chris Grayling, Priti Patel and Lord Lawson. In the last Prime Ministers Question before a summer recess that can’t come too early for Theresa May facing mass resignations and a lead in the polls by Labour, the Labour Leader brought up the breach of election law. “People are losing trust in this government,” said Jeremy Corbyn. 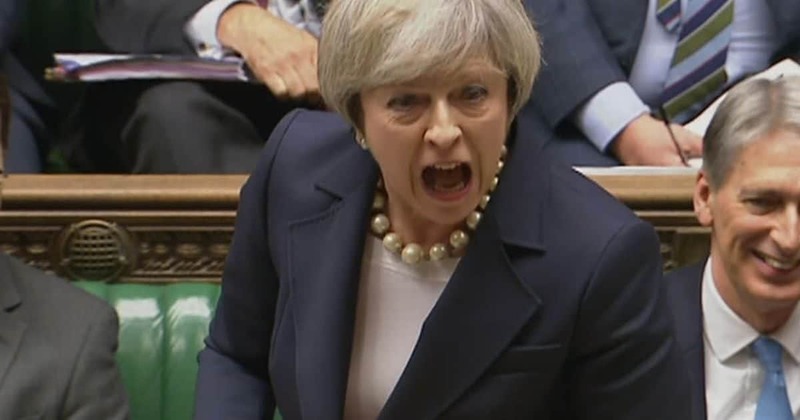 Both May and Corbyn were interrupted by loud roars and House of Commons Speaker John Bercow demanded they be allowed to speak in a fraught PMQs. The Labour Leader rose to his feet in rowdy scenes and explained that he was stating fact. “I stated the fact that the Electoral Commission has made that reference. That’s what I said. I asked the Prime Minister for a guarantee that her ministers will cooperate with the police on any investigations that may make.